IS THE RIGHT FIT METHOD FOR YOU? Q: Can the Right Fit Method be implemented to secure positions in all industries? A: Yes, the Method is applicable to all industries. Q: Is it suitable for new grads and young professionals? A: Yes, the Method provides the roadmap to achieve career success early in life, with minimal need to change learned behaviors. It teaches young professionals how to overcome objections to minimal or no experience. Q: Is it applicable to entrepreneurs? A: Yes. With the tools of the Right Fit Method, entrepreneurs can dramatically build their client base and hire�and retain�Right Fit employees and/or independent contractors. 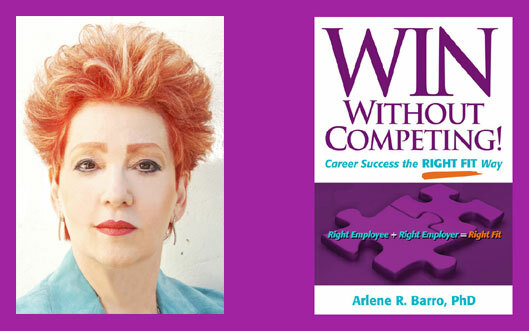 Q: Is it right for employees in all stages, phases, and levels of their careers? You�re eager to be promoted, but don�t know how to proceed. You�re unhappy and don�t know whether you should fix your situation or flee. Awaiting downsizing, you�re nervous and you need a plan. Downsized but still employed, you anticipate being jobless and respond with an ineffective r�sum� blast. Q: Is it effective for the unemployed? A: Yes�it is not uncommon for people who are unemployed to remain �in transition� for a year or more. They need a holistic, supportive system, one that is founded on their Core Identity, which, for many, is difficult to identify. Q: Is it valuable for employers? A: Yes, the Method is particularly valuable for employers of small businesses without HR departments but with critical needs for Right Fit employees; for medium-sized businesses that need Right Fit employees to grow; and for large businesses that spend too much time hiring, firing, and rehiring.